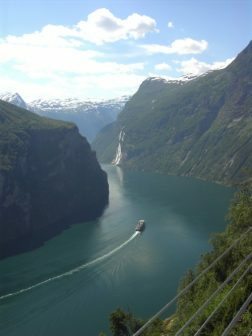 Join me on this special cruise, often described as the world’s most beautiful voyage sailing along the Norwegian coast, we go where no other ships go. Experience unique nature and culture that are out of reach of traditional cruise ships. 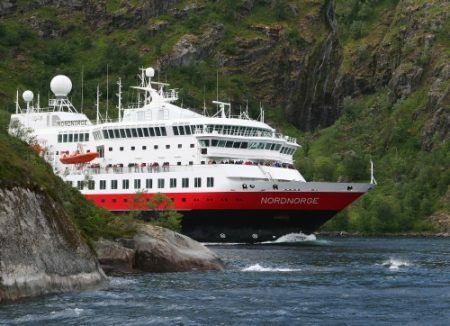 Hurtigruten’ s MS Nordnorge, refurbished in 2016. This expedition ship will take us from Bergen up along the Norwegian coast to the Arctic Circle and Lofoten Islands. Our Expedition Team will offer lectures on subjects such as biology, history and geology. They will also be our host on special shore excursions; there are shore excursions for different level of activities. Norway’s Coastal Kitchen – indulge in the local food with fresh produce from local suppliers, experience the foods of Norway as you enjoy the panoramic views! Now you can cruise at a low rate and be sure you are paying the best rate for your cruise. Carnival is offering special rates for booking in advance. Lowest Rates – book early and Save Big, sail for less then $70 a day. Price Protection – if after booking your cruise you see an advertised rate that is lower, Carnival will adjust your cruise rate accordingly. Short Cruises (5 days or less) – book your cruise three months in advance. Long Cruises (5 days or more) – book your cruise five months in advance. This offer is for specific cabin category and departure dates for Caribbean & Panama Canal, Europe and South America Voyages. Up to 2 Kids Free! Travel now until October 31, 2009. Air and transfers not included, conditions may apply. Experience SeaDream’s award winning Serive. Only 56 couples traveling with a crew of 95…you do the math! * A dataport that provides access to the internet and a laptop is available upon request. * Marble-lined bathroom with a multi-jet shower massage and Bvlgari@ bath amenities. * Bar with mini fridge stocked with a selection of beverages. * Personalized yacht stationery, direct dial telephones, personal safe, individually controlled AC ,Make up mirror and hair dryer. This is a great opportunity to celebrate that special occasion. You don’t want to miss SeaDream’s Champagne Caviar Splash and special barbecue served on china, on the beach! Book a Verandah Stateroom for your`7-night cruise and receive a $700.00 onboard credit. Offer available on most 7-Night sailings now through August 8, 2009. Call for information. Mickey and the gang are waiting!